What is Arc Welding ? Arc Welding is one of the many ways of welding two metals. During welding, two metals melt and intermix. The mixture ensures that the finished weld has the same physical properties as that of the base metals. In arc welding, the high temperature required for the weld is generated by means of an electric arc. An AC or DC power source has one of its terminals connected to the workpiece. The other piece is connected to the electrode holder. The Arc is created when the electrode is made to touch the workpiece and withdrawn a few millimetres. The interruption in current, triggers the arc. The high temperature of the arc which is around 3500 degrees celsius causes the base metal and the welding electrode to melt. A pool of metal is created as the electrode is moved across the workpiece. This pool solidifies and creates a fusion bond. 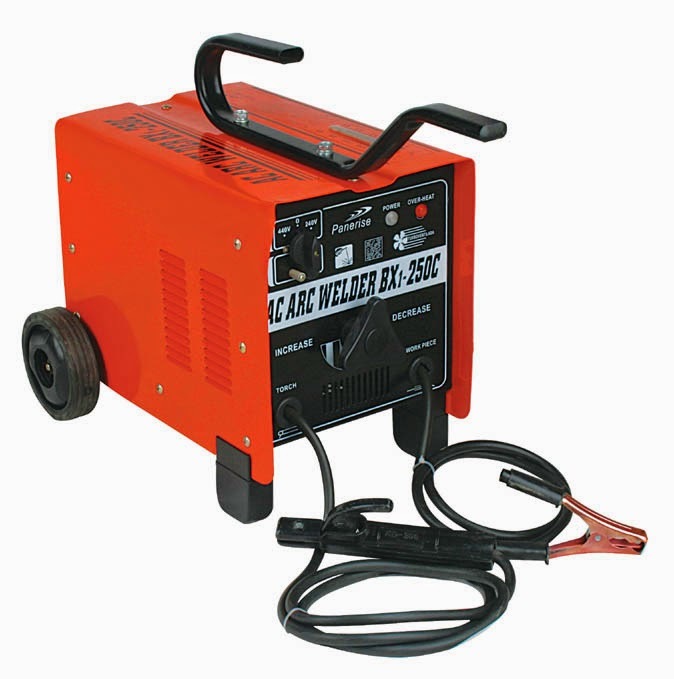 Arc Welding can be done with both AC and DC supplies. The choice is made based on the requirement of depth of penetration and deposition rate. Arc Welding is done by means of a welding Transformer or special welding units.